The article will help you test the stability of your live encoder. If the hardware your are testing is defect, these tests can help you find out. The article will help you test the stability of your live encoder. If the hardware your are testing is defect, these tests can help you find out. Copenhagen Streaming does not take any responsibility for any damages done using these tools. To take full advantage of the these tips, the less savvy IT-person should ally with a tech savvy colleague. When using software encoders like vMix, Wirecast and OBS, it is utterly important that the underlying system is reliable. And you won’t know before testing your hardware properly. A stress test running for shorter or longer time will help you identify potential hardware defects and if the system is actually able to encode video to used in your next live stream. MemTest86 is a standalone application that boots from a USB-drev. It will stresstest the RAM and highlight any defect modules or misconfigurations in voltage, speed or RAM-timings. Prime95 will push the core components of a system (CPU, RAM and motherboard) and should successfully run for at lease 24 hours. We are very happy with the blend test, which is highly efficient in spotting hardware- and configuration errors. 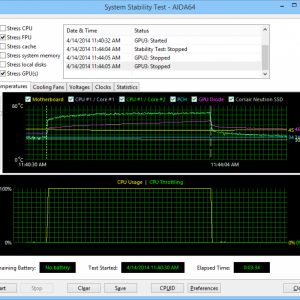 AIDA64 also stresses the processor and the memory og and will asp show voltage and temperature which is useful when you testing for CPU throtteling causes by high temperatures. FurMark and Dota 2 are games that a very good at pushing the graphics card. Dota 2 has provoked hardware and driver issues that other stress tests haven’t been able to. Thanks to the replay function in Data 2 you donate have to play the game yourself. We have to stress that it is af great value to also test in the encoder software that you are using, whether it be vMix, Wirecast, OBS, Digital Rapids, FMLE or an entirely different software. In vMix for example you can add many sources in order to stress the system. Set the file writer to ProRes and live stream to three simultaneous destinations. To further push the CPU-usage, try to set the x264 encoder to state 9 “very slow encoding”. Pushing the system is one thing, but it is equally important to set up a real project, where you can check if the workflow is solid. This way you can avoid many potential surprises. In vMix for example, it is possible to split the file recording for maximum resilience in case of a power outage. However some formats and containers doesn’t split very well, and the jointed file might show milliseconds of an empty sound track where the file is joined. When testing your actual workflow, this will become apperant at a convenient time rather than during the actual live production. If you use capture cards like Blackmagic Decklink, Matrox VS4 or USB and Thunderbolt variants like the AJA U-TAP or Ultrastudio Mini Recorder, set the project up using these devices, and with the actual output resolutions from your sources. You will see a very different CPU-usage when dealing with 720p compared to 1080i/p. If you identify any errors it is very important to fix them. It doesn’t matter whether you are using vMix, Wirecast or an entirely different software on your live encoder – the underlying hardware has to be 100 % stable. Have a look at the follow up article where we look at how to actually fix the errors you might encoder in terms of stability. You are also more than welcome to contact Copenhagen Streaming and get help from our experienced team.  Copenhagen Streaming is ready to help you! We have many years of experience building and testing live encoders. If you need our assistance, reach out to us using the contact form below. Johan is a live streaming expert and have worked with encoders for more than a decade. He works at Copenhagen Streaming, a video production company with focus on live streaming, videos for enterprises and video content tailored for social platforms. Copenhagen Streaming have more than 20 years of experience with live streaming for companies such as Danske Bank and Danmarks Radio. Prime95 was designed to discover new Mersenne prime numbers. Prime95 can be set up to send results to Mersenne Research, Inc. which is a non profit corporation. You can also choose to just use the software to stress test CPU, RAM and motherboard without publishing potential prime numbers. As of now Copenhagen Streaming is using version 29.3 af Prime95. MemTest86 tests the memory (RAM). The software is installed on a USB-stick that is made bootable. Copenhagen Streaming is using version 7. AIDA64 is a comprehensive software suite which will first of all give you an overview of all components in your live encoder. In the software you will also find a system stability test that excels by using the instruction sets found in modern CPU’s. 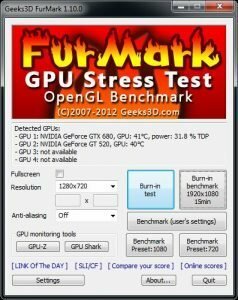 FurMark will push your graphics adapter to its’ maximum.